﻿ Anka Leśniak - Where is the mermaid? 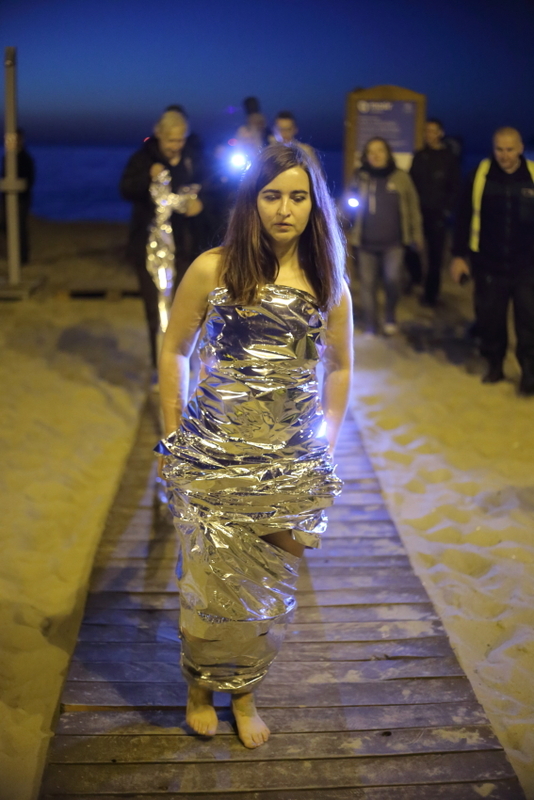 The performance on the beach in Brzeźno was a site-specific artwork. It referred to the character of the place - a seaside district of Gdansk, where today we can find only remains of the old spirit of the fishermans' village and exclusive resort which was originally built there at the time of Napoleon. After World War II Brzeźno never regained its former glory and the district was subordinated into the shipbuilding industry. After the fall of Communism the district underwent further degradation, being considered a tough neighborhood where in 2015 three brutal murders took place. Brzeźno is therefore a place where both positive and negative energies meets, it is an appealing place, but at the same time depressing and mysterious. 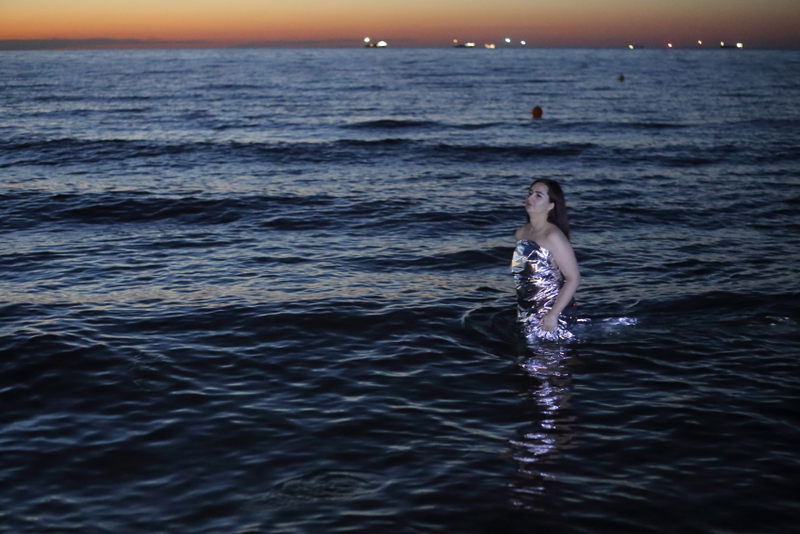 Inspiration for the performance was a legend based on a story of the love affair between General Rapp – the French governor of Gdansk and Julia Böttcher, for whom he supposedly built the baths in Brzeźno. According to the legend, Julia was supposed to be a Mermaid - "Melusine" from Brzeźno, who left the district when her lover broke his promise that he would never watch her while she was taking a bath. After that time, disasters and misfortunes fell on Brzeźno, but these will apparently end when Julia the mermaid returns to Brzeźno forever. 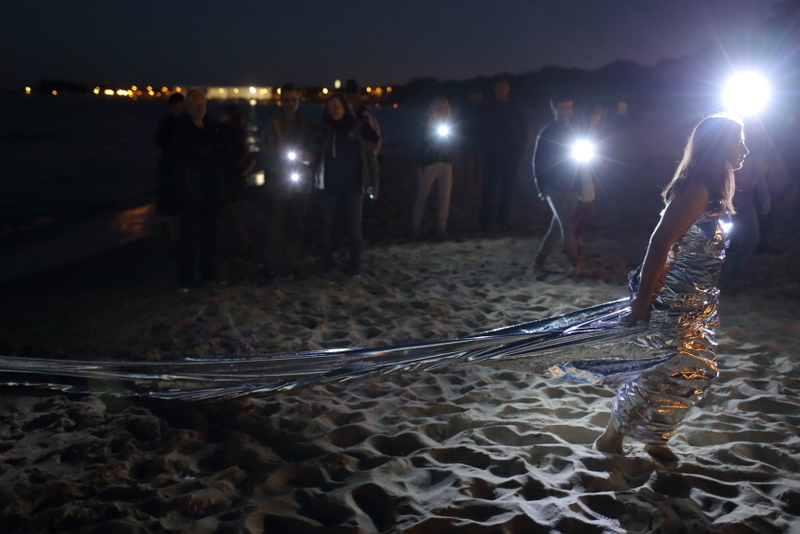 In the first part of the performance the audience gathered with flashlights at the edge of the sea to search for the Mermaid. 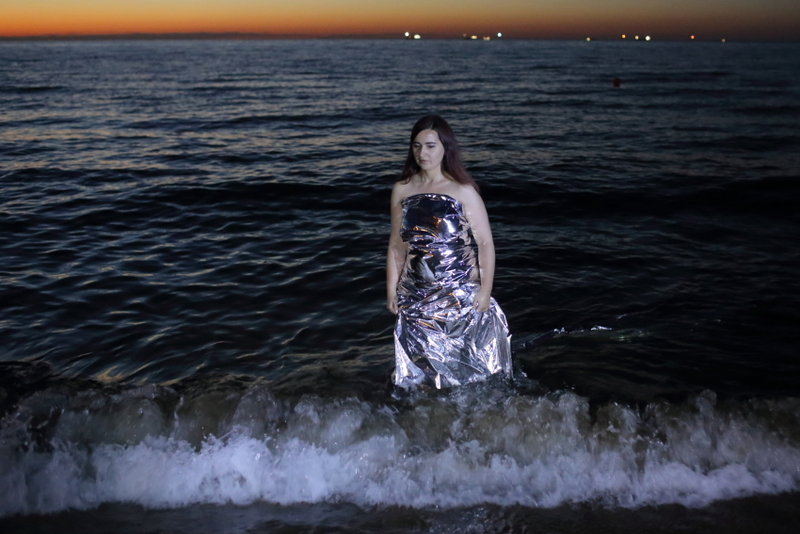 She then appeared wearing a silver dress and came directly from the sea onto the beach. 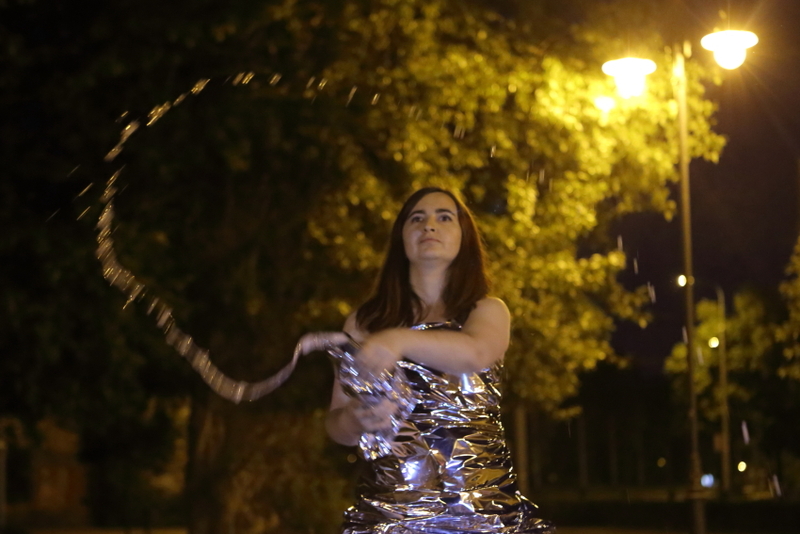 Then there followed a procession with the Mermaid leading to a small square in the centre of the district, where the performance concluded by listening to the legend, contemplating the living Mermaid Sculpture and the spilling of champagne.